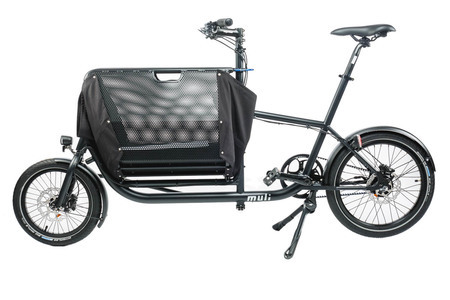 The "muli" is a compact cargo bike that is optimally adapted to the special needs and challenges of daily urban life. 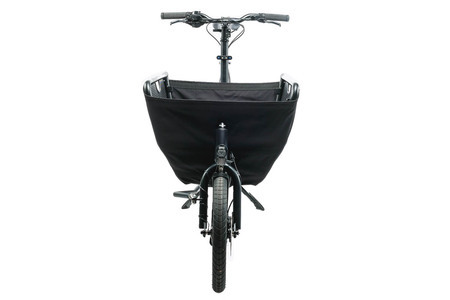 It was built as short as possible and is equipped with a folding basket. This makes the muli two in one: on the one hand an agile everyday bike that can be taken into the subway, carried up stairs and parked on any bicycle parking space. 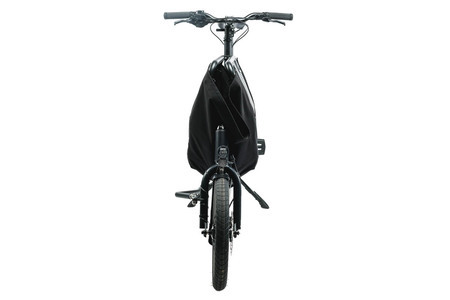 on the other hand a powerful cargo bike, whose basket can be folded out one-handed, holds a volume of 100 l and allows a payload of up to 70 kg. Innovative accessories such as customised child seat and rain cover make the muli the perfect companion for everyday life. Everything about the muli is just right. Thanks to its short wheelbase, low width and small frame, it is easy to control for both big and small riders. We were particularly impressed by how easily the child’s seat can be installed and dismantled as well as how the basket folds up. Especially recommended for families.